Since this weekend is the official kick off to the summer, what better time to share some delicious recipes to make over the long weekend. Without further adieu, I would like to welcome today's guest blogger, Rebecca Pane. I had the pleasure to work with this hilarious and kind lady for the past year and was thrilled when she agreed to write a bit for the blog. She is one of the most talented writers I know so it's no surprise that she abandoned me at work and got a stellar position using her writing skills everyday - work has been ever so dull without her witty banter but thanks to the internet I get to enjoy her sarcasm via email. On hot summer nights, you don’t need a special excuse to celebrate – a group of friends and a drink equipped with a rum-soaked mini-umbrella is reason enough. Mojitos. Margaritas. Sangria. Let’s face it - it’s just not summer without them. It doesn’t get better than throwing on a cute little sundress, dainty little cork-bottomed sandals, and kicking back outside with your girlfriends on a steamy summer’s day with a flirty drink in hand. But, if you’re like me, I often hesitate to have too many of these yummy adult treats because I’m thinking of that bikini I have to wear for the next few months (don’t worry, I won’t say the B-word again…I see you, you’re sweating). Over the years I’ve spent a lot of time coming up with – and mastering – the best, tastiest, and most lethal summer cocktails for my girlfriends and I to enjoy, guilt free. 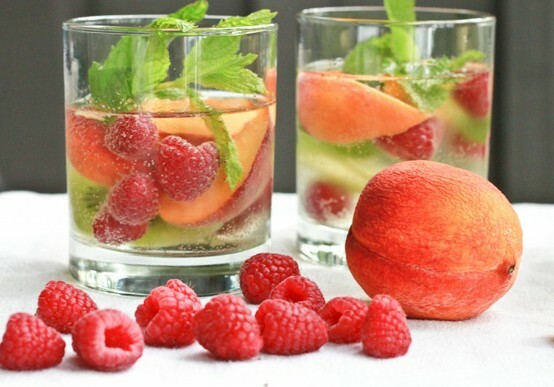 I think it’s crucial for females to share any and all body-bettering diet secrets, ESPECIALLY when it comes to fun drinks – so, I’d like to present to you my five favorite low-cal summer drinks. Go ahead, girls - feel free to mix up and enjoy 5 – okay, make it 6 – of these bad boys! I promise you’ll wake up with a clear conscience* (well, about what you drank, anyway…the rest, I can’t help you with). Oh, and one more thing – put the red solo cup DOWN. These are not red solo cup approved. 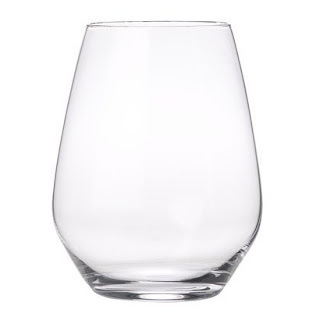 Glass cocktail glasses are a great investment! I’m crazy about minty drinks in the summer. I put mint in EVERYTHING – my water, my iced tea, whatever. If you like mint, and you like rum, you can’t go wrong with this mojito (and hey, if you don’t like mint, just drink the rum (win/win situation). Ingredients: ¼ cup fresh mint leaves, 1 tsp. sweetener (I prefer Stevia or PureVia, they have less chemical additives than Equal or Splenda), 1 1/2oz. freshly squeezed lime juice (pre-bottled lime juice is fine, just be sure it isn’t sweetened), 2oz. 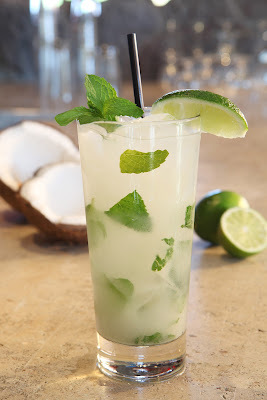 Malibu coconut rum, juice of half a lime, 6oz. soda water. Directions: Put mint, sweetener, and lime juice in the bottom of your glass, and muddle (most people don’t own a muddler, so crushing them together with a spoon is fine). Stir the rum in slowly, being sure to dissolve all the sweetener. 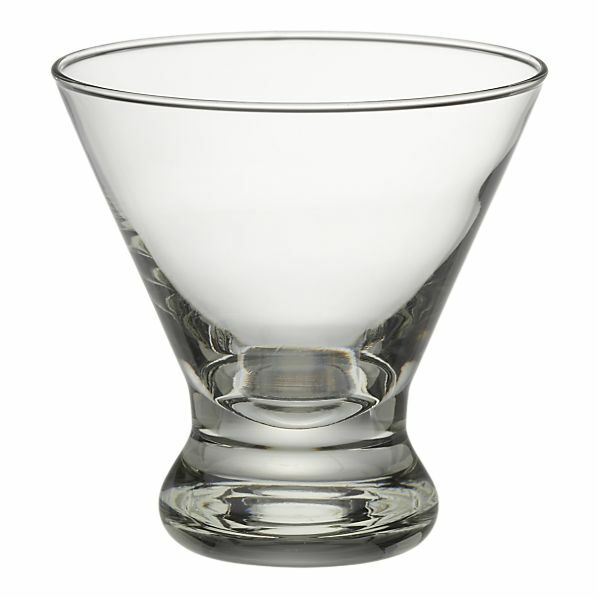 Fill whatever space you have at the top of the glass with soda water (or more rum, I don’t judge), and garnish with a lime. Sangria is one of the most refreshing summer drinks, in my personal opinion. This is my go-to recipe when I’m making a pitcher of sangria to bring to a cookout – and no one knows my dirty little diet secret! Note: this specific recipe is for a single serving, not a pitcher. 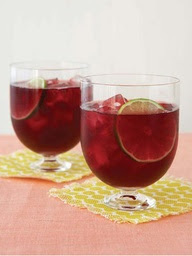 Directions: The easiest way to make this sangria is to simply put the wine, brandy, and diet Sprite in a glass, squeeze the fruit in, pour over ice, and you’re good to go! However, if I have time, I like to put the wine, brandy, and squeezed fruit together in a glass and refrigerate overnight, then the next day add the Sprite. Infusing the fruit in the wine overnight makes for a tastier drink – but it’s all about how much time and patience you have! I find the overnight method to be the best when making a pitcher to share (right…”share”). Ingredients: 1/2 cup diced peaches, ½ cup cherries, 1 cup all-natural fruit juice (I like pineapple juice in my variation), 1oz. 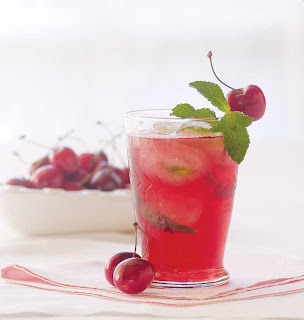 cherry vodka, 1 cup sparkling wine, ½ cup seltzer. Directions: Combine peaches, cherries, vodka, and wine. Take a sip. Add fruit juice and seltzer. Take another sip. Serve over ice. Garnish with a cherry. I’ve never met a single person who can get through a summer without craving a margarita on a deck at LEAST once (by once, I mean once a day). This is the finest recipe I’ve been able to dream up – still all the flavor of a margarita, without the sugar! You’re welcome in advance. 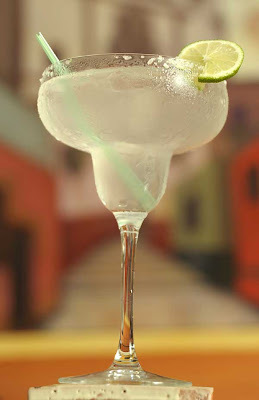 Ingredients: 1 teaspoon Crystal Light Margarita powder dissolved in 8-10oz water (to taste), 1oz. tequila, 1oz. x-rated fusion liqueur, and juice of half a lime. Directions: If you like a salt or sugar rim, run some lime juice along the rim of the glass and dip. Combine all ingredients, mix well, and serve over ice. Note: I also like to squeeze part of an orange in there, since we’re not using Triple Sec. I’m not a huge frozen drink gal – the sole thought of waiting so long for my drink to blend is agonizing. 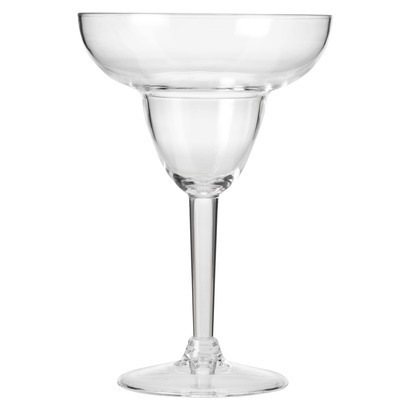 But, you really can’t go wrong with this daiquiri. Once you taste it, you’ll realize it was worth the painful 45 second wait. 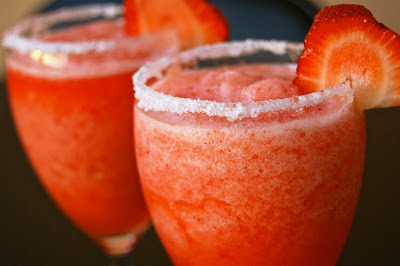 Directions: Blend strawberries, sweetener, and lime juice together in a blender until smooth. Add ice cubes and rum, and blend until frothy. Garnish with a strawberry. Of course, all of these recipes can be tweaked for your tastes – these specific recipes were made to my personal liking. The good news is, you can add extra or less of any given ingredient and not have to dread buttoning your shorts the next day. Additionally, I’d like to show a little love to my favorite cocktail glasses. 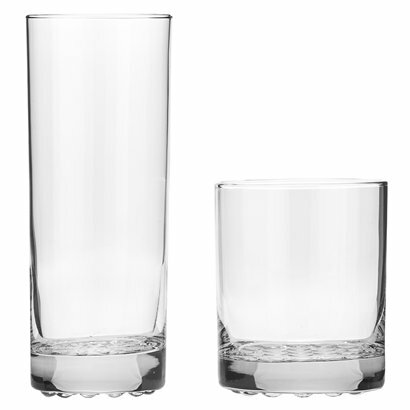 For me, it’s all about the presentation – the glass you serve the drink in, the garnish you use, maybe a cute colored straw. Even just using a stem-less wine glass for any cocktail makes a difference. And who doesn’t want to feel fancy? *bloggers disclaimer: this blogger is not responsible for the actions of any adults after enjoying these yummy treats!